At our two studios in Lexington & Newton, and our 11 Camp locations across MA, Empow Studios is where kids learn to design, build, and code. Tech & Design Camp - A camp where kids CHOOSE what they want to create: Video Game Design, Robotics, Animation, Coding, 3D Printing, Music Production and other exciting projects are all fair game! Java Coding Camp - For the young programmer who wants to take their skills to the next level. Grades 4 and up. Minecraft Camp - The most popular game for kids is also the perfect environment to design, build, and code! Whether you’re just starting your explorations or looking to create mods. Girls STEM Camp - Bringing some balance to the world of STEM where girls use technology as a creative tool. 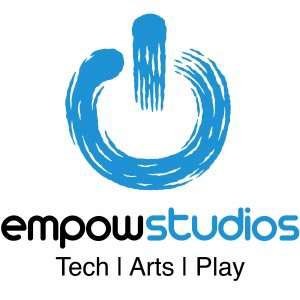 Empow also hosts an After-School Club in Lexington and Newton for parents in need of enrichment and child care, one-day NanoCamps when schools are closed, weekend technology clubs, birthday parties, and private lessons. For more info on our programs, please visit www.empow.me.